Thin, weak and delicate hair are more susceptible to loss of volume and more prone to damage such as brittleness and split ends, so daily care is very important. Cream conditioners and masks can overload them, and as a result, instead of cared for full volume of hair, the hair is oily, flaky. That is why proper care and selection of the right products is so important. 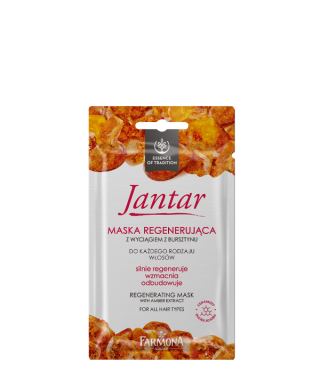 The dry Jantar shampoo is based on a proven and effective recipe. This is the result of long traditions of using the extraordinary properties of amber.